In arid East Africa, water is an increasingly scarce commodity. Governments in the region need better tools to manage this water, beginning with accurate estimates of rainfall in both real time and historically. The University of California, Irvine’s Center for Hydrometeorology & Remote Sensing (CHRS) has created satellite precipitation data and information systems that are useful for both purposes. ICIWaRM has been supporting the development of these tools for almost a decade as part of its leadership role as the technical secretariat of UNESCO’s drylands water resources program G-WADI. 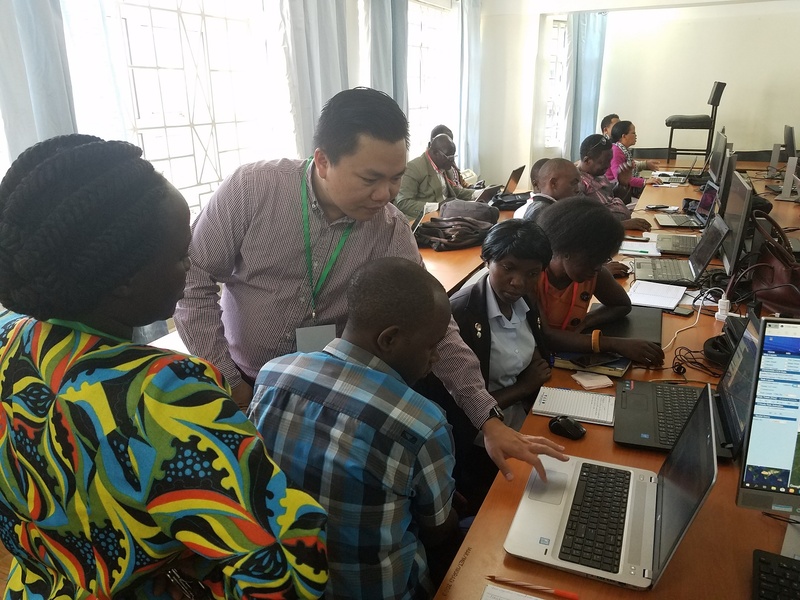 From July 23-25, 2018 a three-day training course was held at Makerere University in Kampala, Uganda for 25 water professionals from 11 East African countries. The participants came from both hydrometeorological services and universities, to ensure interactions between those studying the water resources of their region and those applying that knowledge in the form of weather and climate services. Key to the course were several exercises in which the participants used their own data and information in combination with the tools presented at the event. Dr. Phu Nguyen assisting course participants with RainSphere, a program to show precipitation trends over time. Photo credit: ICIWaRM. 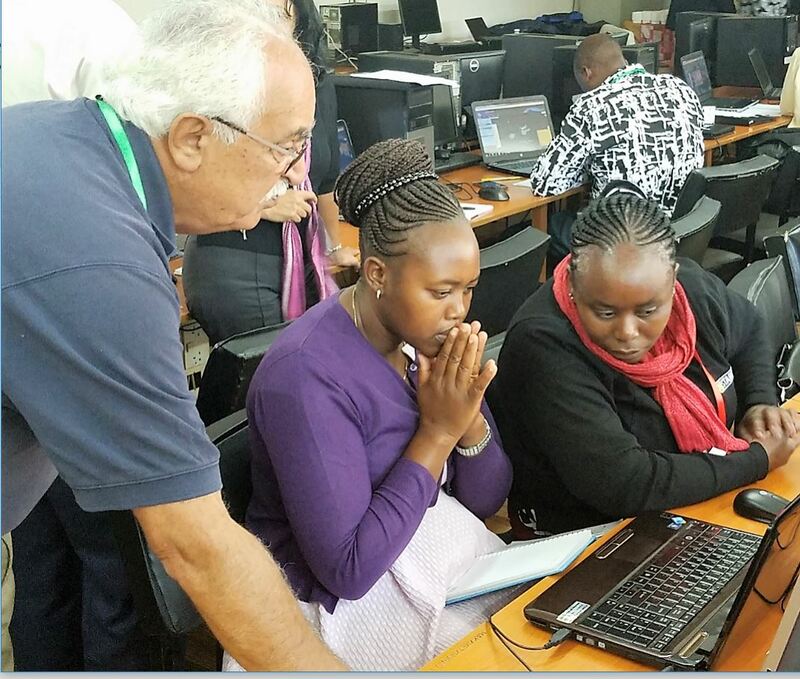 UNESCO’s Regional Office for Eastern Africa and International Hydrological Programme, along with Makerere University’s Department of Geography, Geo-informatics and Climate Sciences, organized the course titled “Regional Training Workshop on Precipitation Estimation from Remotely Sensed Information using Artificial Neural Networks”. The instructors were from CHRS and included Prof. Soroosh Sorooshian, UCI Distinguished Professor of Civil & Environmental Engineering and member of the US National Academy of Engineering, and his colleague, Dr. Phu Nguyen, UCI assistant adjunct professor and developer of several of the products being presented. More information on the workshop can be found here and here. More information on the CHRS real-time precipitation product irain can be found here and on the historical precipitation climate data record here and here.